^ Vidyasankar, S. "The Sankaravijaya literature". Retrieved 2006-08-23. ^ John Koller (2013). Chad Meister and Paul Copan, ed. Routledge Companion to Philosophy of Religion. Routledge. doi:10.4324/9780203813010-17 (inactive 2018-11-27). ISBN 978-1-136-69685-5. ^ Mishra, Godavarisha. "A Journey through Vedantic History – Advaita in the Pre-Sankara, Sankara and Post-Sankara Periods" (PDF). Archived from the original (PDF) on 22 June 2006. Retrieved 2006-07-24. 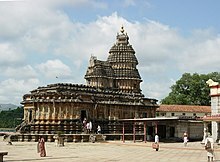 ^ Vidyasankar, S. "Sankaracarya". Archived from the original on 16 June 2006. Retrieved 2006-07-24. 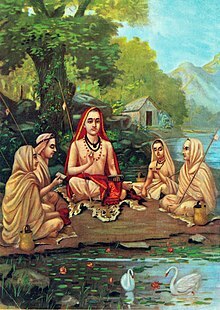 ^ "Adi Shankara's four Amnaya Peethams". Archived from the original on 26 June 2006. Retrieved 2006-08-20.